The modern complex building where residential or commercial, industrial or institutional or even complicated structure like bridges, tunnels, etc. have become possible due to the technology which has much to offer. While machinery plays an important role, the equipment and tools also have a role to play. Cranes and one such thing which has not only made high rise construction possible but also helps in material movement and made material handling easy. Cranes nowadays are must in the construction industry. Cranes help to overcome the shortage of labours as they are used for lifting and unloading of construction materials. High rise building need lifting devices which can lift and transfer heavy materials vertically. Modern day cranes have made it possible. But with good – efficient cranes, you also need sound shackles. They are the most versatile and important part of any equipment in any rigging, lifting and material handling. They help in connecting various pieces of lifting equipment together. Thus shackles are a useful tool in material handling application. Please remember no construction is complete without efficient tool for its materials handling, and the shackles are one of the right tools. When it comes to tying down, lifting or towing any workload ‘‘crosby shackles” have proved to be reliable. They are made of forged and quenched alloys, so they can be used to lift up loads of construction materials. They are versatile pieces that are commonly used in material handling operations on construction sites, marine and manufacturing sectors. The shackles can be used to connect parts that need to be lifted together as well. They are powerful pieces with great potential if the handlers have sufficient knowledge of how to use them. Shackles and pins are widely used to connect the bucket with cranes. Shackles and pins are also used to connect loading trolley with vehicles like tractors, tempo, truck etc. The uses of Shackles and pins are not limited to the construction machinery alone. During the concrete pouring work, shackles and pins are used to support the concrete formwork. Shackles are also used in safety tools like safety belt, etc. In the case of a worker wearing a safety belt while working, shackles help to take a load of labour at the time of fatal accident and worker, thus get a chance to save his life. Shackles and pins are also used to hang the electrical appliances in your house like electrical fans, etc. There are many more uses of shackles and pins and depending upon the use and load carrying capacity, different types of shackles and pins are available in the market. Following are the different types of shackles and pins. These two terms bow shackles and anchor shackles are used interchangeably to refer to shackles that are O shaped, but the bow shackle has an extended bow area when compared to the anchor shackle. The two shackles have a rounded body that allows them to be used to lift loads from all angles. They give you the freedom to move a load from any of the directions you may choose. Note that both the bow and the anchor shackle have a larger loop shape that reduces the overall strength of the shackle. Snap shackles have a spring mechanism that can be activated and deployed to task by using just one hand. These types of shackles can suitably be deployed in areas where speed is of the utmost importance. They can also be used in areas where they need to be disconnected and connected easily. So, they are suitable when working on jobs with lower load limits. The snap shackles come in four types: Rope Snap, Fixed Snap, Swivel Jaw, and Swivel Eye. Shackles come in either galvanized or stainless steel. The reason for choosing galvanized and stainless steel is that they offer sufficient protection to corrosion and rust over time. It makes them a good choice, especially if you will be working in humid areas. Galvanized steel is coated with zinc oxide that protects steel from adverse elements that lead to oxidation and corrosion. It is also cheaper than stainless steel, which is strong and durable. On the other hand, stainless steel is more corrosive resistant and is quite ideal if used in marine applications. Most stainless steel pieces made from 316 marine grades, mean that they are resistant to ocean sprays and can be used in environments saturated with chloride. When it comes to choosing the pins to use on your shackles, some care needs to be taken depending on the job you want done. The pins are of many types; the round pins, screw pins, the bolt type pins, etc. The screw type is common because they allow you to connect and disconnect the pins easily. The captive pin is widely used in marine applications because it is difficult to remove the pin from the bow. This means that they are safer and can be deployed to heavy duty tasks that require securement for a period of time. Round pin shackles are used to lift, tow, tie down the materials whose load strictly comes in-line. 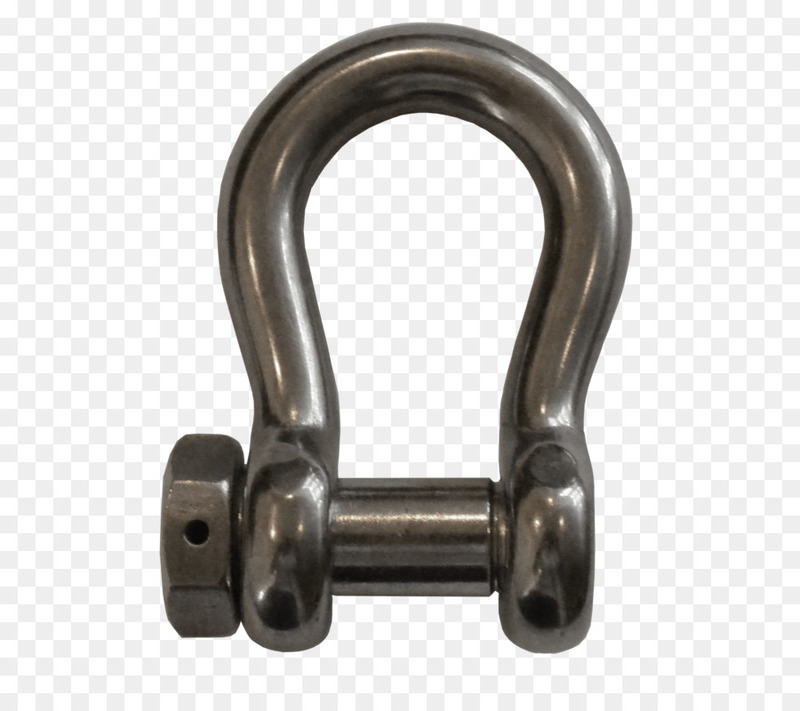 Do not use round pin shackles for rigging applications where side loading may occur. Screw Pin Shackles are used in pick and place application for permanent installations. It can also be used for rigging applications where side loading may occur. Bolt-Type Shackle is used in many applications where a round pin or screw pin shackles are used. It is also used for long term installations. It can also be used for rigging applications where side loading may occur. How to ensure that you are using genuine Shackle and pins? Look for Company logo on the Body of shackles. Grade and working load limit is always marked on the Body of shackles. The bolt or pins is marked with company logo, traceability code and grade. Generally, all shackles and pins which belong to a famous and reputed company, have size, working load limit marked on the body of shackles and pins. Depending upon the lifting loads, shackles and pins are available in different size and with different load carrying capacity. Therefore in the construction industry, apart from efficient material handling, shackles and pins are very fundamental construction tools from a safety point of view also. Previous PostPrevious 3D Wallpaper Décor That Add Depth to Your Tiny Room!